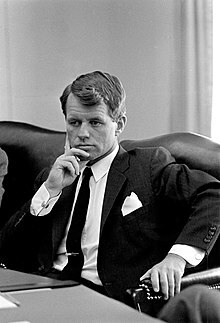 Robert Francis "Bobby" Kennedy (November 20, 1925 – June 6, 1968), also called RFK, was a brother of former U.S. President John F. Kennedy. He ran for president in 1968, but was shot dead in California during the presidential primaries. Wikimedia Commons has media related to Robert F. Kennedy.